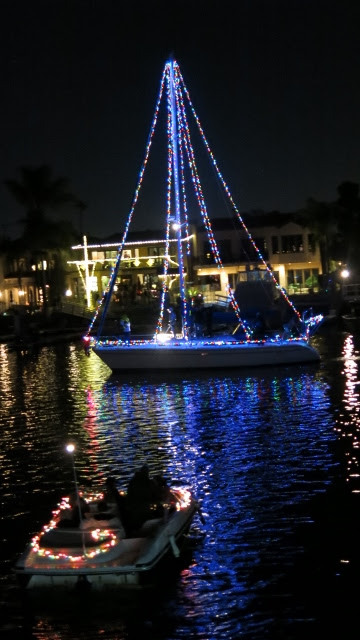 The 53rd Annual Harbor Holiday Afloat Parade, to be held on Saturday, Dec. 5th, starting at 6:00 PM kicks off the beginning of great family fun! Don't miss out! ristmas Luncheon in the Stagecoach Barn, Banning Museum, 401 East ‘M’ Street, Wilmington. Elegant plated lunch, holiday entertainment and special sneak preview of Victorian-decorated Museum. Call (310) 548-2005 for tickets and reservations. Saturday & Sunday, December 5th & 6th: 11AM – 4PM, ‘Victorian Christmas’ at the Banning Museum, 401 East ‘M’ Street, Wilmington and ‘A Civil War Christmas’ at the Drum Barracks Civil War Museum, 1052 N. Banning Blvd, Wilmington. Events include self-guided museum tours, children’s crafts, a visit from Queen Victoria and jolly St. Nick, blacksmith demonstrations, wreath making lecture, local food and craft vendors, and a horse-drawn trolley ride between the museums. Sunday, December 6th: 1PM – 3PM, Holiday Spirit of San Pedro Parade, Pacific Ave from 13th St to 6th St and east on 6th St to Palos Verdes St.
Sunday, December 13th: 12 noon – 2PM, Wilmington Heart of the Harbor Holiday Parade, Avalon Blvd between ‘E’ Street and ‘M’ Street in Wilmington. If your club, marina, business or organization is planning an activity, we’d like to know about it, so we can add your event to this list. Please submit your information to news@laharborholidayafloat.org and we’ll add it to the schedule, along with a link to your website.